"Long ago, Richard Loring told me, "Go where you are honored." For me, that means living and working where you are liked and respected. For me, that means spending time around actors and in the theater." 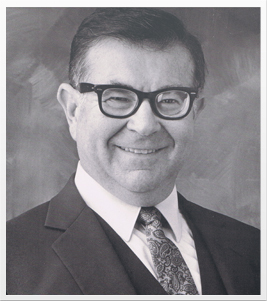 A prolific actor, writer, and producer, Marvin Kaplan has spent his lifetime in show business. Fueled by a desire to give back to the industry, Marvin created the Kaplan-Loring Foundation to assist individuals in show business and, in particular, comedians, songwriters, composers, lyricists, and book writers who develop new material for musical productions. Established as a not-for-profit organization in 2008, the foundation may fund scholarships and pay for tuition and books at Brooklyn College in New York for a promising comedian, as selected by the college. In addition, funds may be used to establish the Richard Loring musical workshop for songwriters, composers, lyricists, and book writers to help them develop material for new musical productions. Download the Kaplan-Lorian 990 form here. Why did you create the Kaplan-Loring Foundation? "I want to give back to the industry by supporting the next generation of students. Eventually, I’d like to have a building for lyricists, composers, and others who want to try out musical material – a dedicated place where they can work and develop their projects." Why name the foundation after Richard Loring? "Richard Loring wrote a lot of music for films, was the voice teacher of Bing Crosby, and wrote with Johnny Mathis. We collaborated often. When he died in 2005, I felt that his name should be better known – he was a famous and wonderful man and a great genius. I added his name to the foundation’s name to help give him the recognition he deserved." Why is the foundation tied to Brooklyn College? "I attended Brooklyn College, and I loved that school! It’s where I started out. I graduated high school at 16 and got into a pre-med course at NYU, which included a grueling lab class. (Papa thought it would be nice for me to be a doctor like him.) I had to go to school on Saturdays to catch up with the lab class. I was terrible at it! In chemistry, I had a $40 breakage fee due to an explosion with chlorine gas. I had to pay the lab fee before I could get my grade, which was an F. Both my father and I were convinced I would never be a doctor. I switched to Brooklyn College and started out as a journalism major and did publicity for the drama organization. Soon I auditioned for my first play, a production of Our Town. I remember the costume department only had one pair of knickers, which I had to share with another actor. We did not take a curtain call. In the next show, I played the back end of the horse in The Taming of the Shrew. While I loved acting in my first plays, this wasn’t an auspicious beginning to my career!" Admission to the workshops shall be for qualified individuals. No individual shall be denied admission based upon race, gender, religion, age, or country of origin. The directors of the foundation shall request the assistance of Bill Jacobs in establishing such workshops for as long as he is available and willing to assist. Directors of the foundation may establish other means or programs that comply with law, to assist comedians, songwriters, composers, lyricists, book writers, and other such individuals who are connected and make a living in show business. Like Marvin, you can support the theater arts. Click here or on the donate button below to donate to the Kaplan-Loring Foundation securely through PayPal.